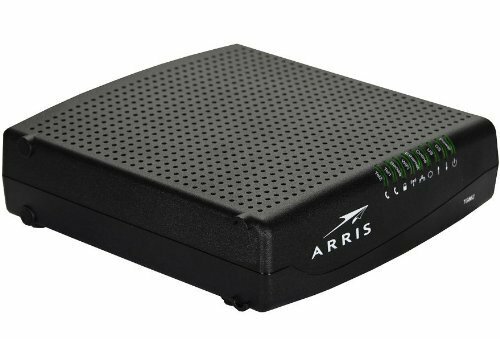 The Arris TG852G modem has speeds up to 343Mbps with 2 voice lines and 8x4 channel bonding. Compatible with major US cable providers, this modem has both wired and wireless connectivity and a lithium-ion battery backup for continued telephone service during power outages. With four Gigabit Ethernet connections, the built-in WiFi supports 2.4Ghz wireless. However, not being compatible with 5Ghz, the crowding with other 2.4GHz channels can lead to weak signals in larger homes.